The facility was the idea of the Shah Mohammad Reza Pahlavi, who envisioned a time when the world’s oil supply would run out. He wanted a national electrical grid powered by clean nuclear power plants. Bushehr would be the first plant, and would supply energy to the inland city of Shiraz. In August 1974, the Shah said, “Petroleum is a noble material, much too valuable to burn… We envision producing, as soon as possible, 23,000 megawatts (MW) of electricity using nuclear plants”. The construction of the plant started in 1975 when the German Kraftwerk Union AG, a joint venture of Siemens AG and AEG Telefunken, signed a contract worth US$4–6 billion to build the pressurized water reactor nuclear power plant. Construction of the two 1,196 MWe nuclear generating units, identical with the two reactors from the German Biblis Nuclear Power Plant, was subcontracted to ThyssenKrupp AG, and was to have been completed in 1981. Kraftwerk Union fully withdrew from the Bushehr nuclear project in July 1979, after work stopped in January 1979, with one reactor 50% complete, and the other reactor 85% complete. They said they based their action on Iran’s non-payment of $450 million in overdue payments. The company had received $2.5 billion of the total contract. Their cancellation came after certainty that the Iranian government would unilaterally terminate the contract themselves, following the 1979 Iranian Revolution, which paralyzed Iran’s economy and led to a crisis in Iran’s relations with the West. In 1984, Kraftwerk Union did a preliminary assessment to see if it could resume work on the project, but declined to do so while the Iran-Iraq war continued. In April of that year, the U.S. State Department said, “We believe it would take at least two to three years to complete construction of the reactors at Bushehr.” The spokesperson also said that the light water power reactors at Bushehr “are not particularly well-suited for a weapons program.” The spokesman went on to say, “In addition, we have no evidence of Iranian construction of other facilities that would be necessary to separate plutonium from spent reactor fuel.” The reactors were then damaged by multiple Iraqi air strikes from 1984 to 1988, during the Iran-Iraq war. Shortly afterwards Iraq invaded Iran and the nuclear program was stopped until the end of the war. On 23 February 1998, the US State Department reaffirmed US opposition to Iran’s nuclear program. The United States argued that Iran had sufficient oil and gas reserves for power generation, and that nuclear reactors were expensive, unnecessary, and could be used for military purposes. The United States strongly opposed the project, which was permitted under the NPT, and had in the past provided Russia with intelligence information pointing to the existence of an Iranian nuclear weapons program. Despite this, the Russians proceeded with work on Bushehr. US opposition to Russian construction of Bushehr rested on three main issues. First was that weapons grade plutonium could be extracted from the reactor allowing the Iranians to construct nuclear weapons. 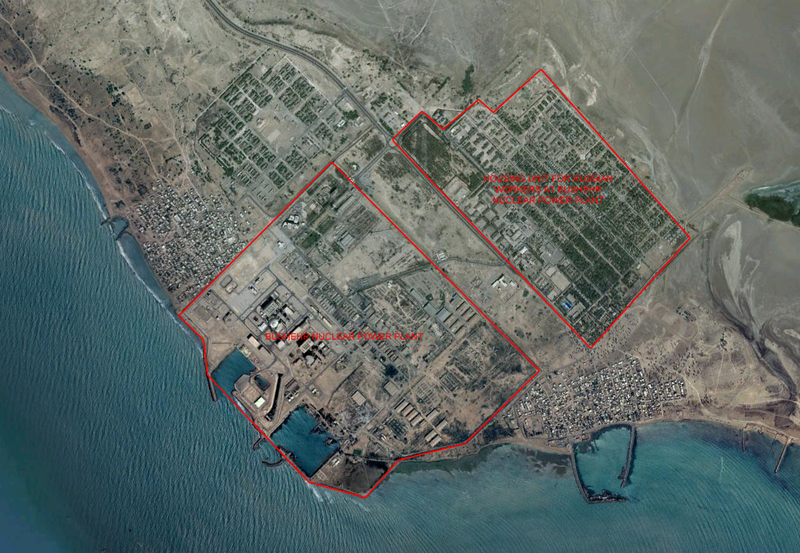 Secondly, the US feared that the Russians and the Iranians were using Bushehr as a cover for the transfer of other sensitive technology that would normally be prohibited. Finally, the US was concerned that the knowledge gained by Iranian scientists working at Bushehr could further Irans nuclear weapons program. US pressure to prevent the construction of Brushehr had not been limited to Russia. On 6 March 1998, during a visit by US Secretary of State Madeleine Albright, Ukraine announced that it would not sell turbines for use with reactors at Bushehr. The contract had been worth $45 million. Five days later, Vice President Gore met with Russian Prime Minister Chernomyrdin and discussed, among other things, US concerns over Russian exports of nuclear and missile technology to Iran. Iran claimed that its nuclear program was for peaceful power-generation purposes and that it would help free up oil and gas resources for export, thus generating additional hard-currency revenues. The US had countered that Iran did not possess sufficient natural reserves of nuclear fuel, meaning that it would be dependant on costly imports to sustain a nuclear power program. 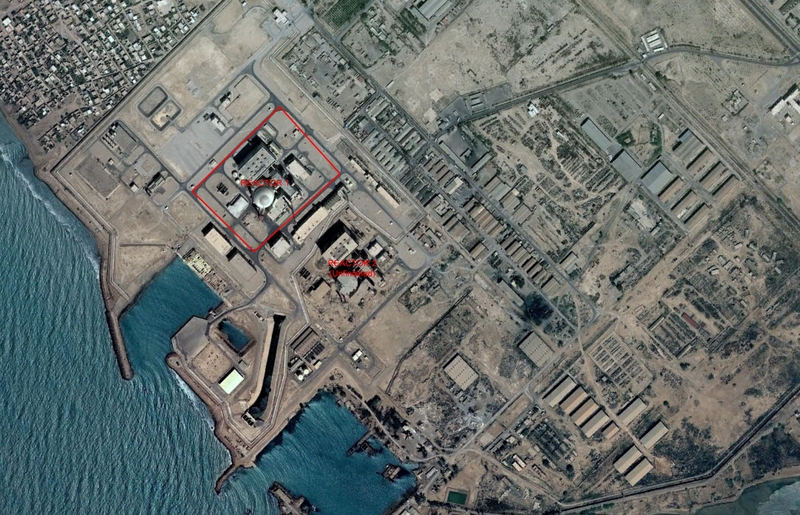 Using their own imagery satellites, the Israeli military was undoutedly also monitoring the progress towards completion of the first Bushehr reactor. Although the reactor was not designed to produce material for nuclear weapons, the spent fuel from the reactor could be reprocessed to yield plutonium, which was why the reactor was under International Atomic Energy Agency safeguards. 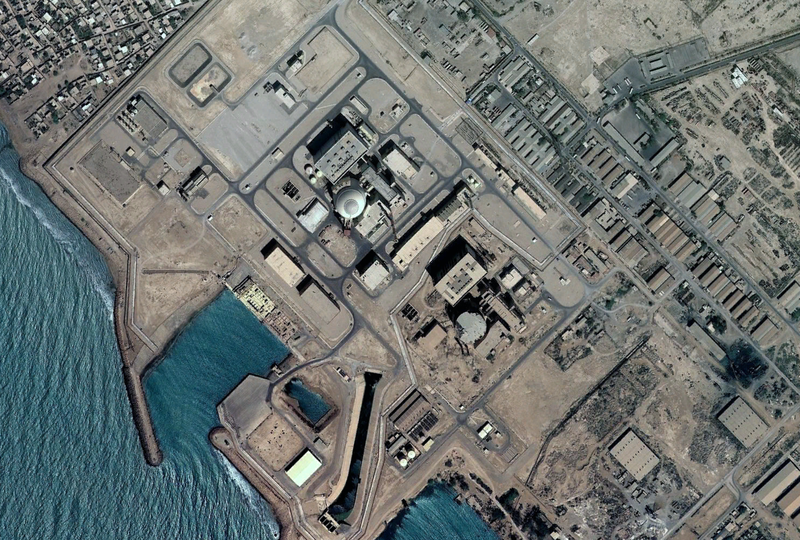 As with the Iraqi Osiraq reactor two decades ago, Israel was thought to face a choice as to whether to attack the Bushehr reactor before it becomes operational. Between 2002 and June 2008 Israel, as well as the United States refused to take the possibility of a preemptive strike out of the equation. Israel even staged a military exercise in March 2008 seen as specifically geared toward preparing for such an attack. 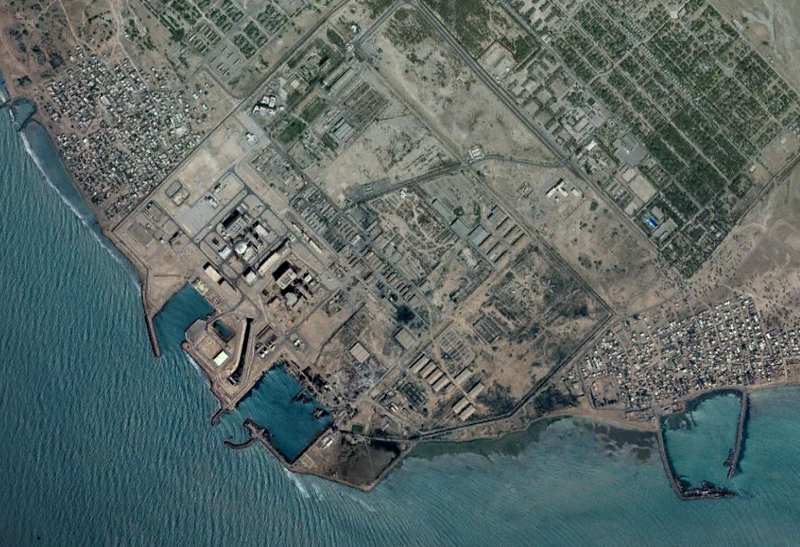 In December 2007 Russia started delivering nuclear fuel to the Bushehr nuclear power plant. On January 20, 2008 a fourth Russian shipment of nuclear fuel arrived in Iran destined for the Bushehr plant. Russia has pledged to sell 85 tons of nuclear fuel to the plant. In March, 2009, the head of Russia’s state nuclear power corporation Rosatom, Sergei Kiriyenko, announced that Russia had completed the construction of the plant. A series of pre-launch tests were conducted after the announcement. Iranian Energy Minister Parviz Fattah has said that the Bushehr plant would begin producing 500 MW of its 1,000 MW capacity of electricity by 22 August 2009, and would be brought up to full capacity by the end of March 2010.